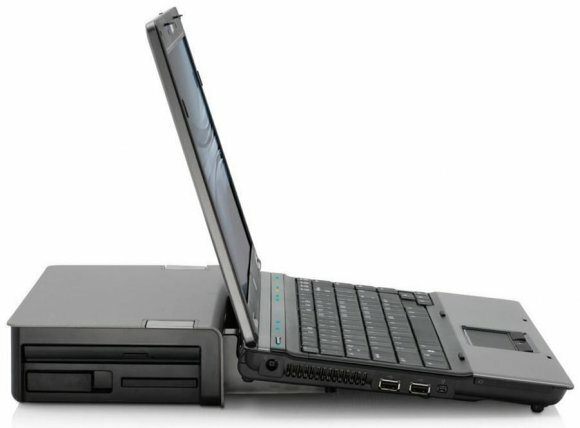 KP081AA - HP Business Notebook 2008 Advanced Docking Station. Robust desktop replacement solution for your mobile office with advanced features for future expansion. 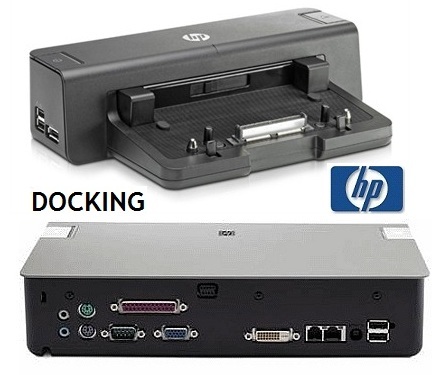 Easy docking system provides port replication and cable management, plus expandability through an integrated SATA upgrade bay and ExpressCard slot - all in one product. Six USB ports allow you to connect more peripherals to make you more productive. Optional integrated HP/Kensington Cable Lock allows you to secure your docking station, notebook and integrated SATA drive with one lock. Eject button and docking light Ejects computer from docking station. Dock light is turned on when the computer is properly connected. Other connectors Monitor Stand, VGA and DVI-D ports. Please check compatibility before your purchase.